February 16th is President’s Day honoring all our presidents. 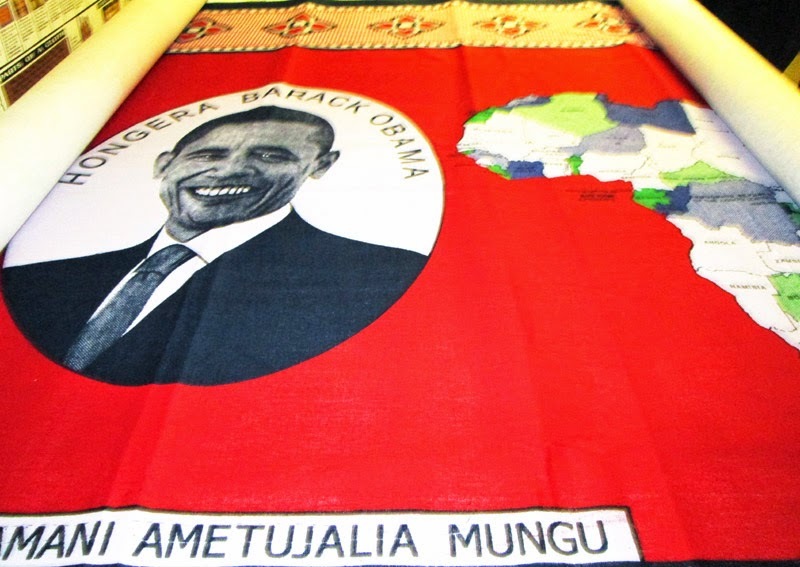 Textiles have always been used to convey ideologies, historic and current events. They also served as advertisements, as their graphic qualities caught the attention of the buying public. Therefore, it is obvious that textiles were used to serve a political agenda. In the US early textile printers, such as John Hewson, used the copper plate printing techniques that were used in Europe, to produce pictorial handkerchieves and bandannas. Copper plate printing allowed for finely detailed patterns, which could be produced in quantity. By the early 19th C a popular subject was political ( faces of potential candidates and political slogans). There were many decorative motifs, such as flags, eagles, and maps, that could be used to enhance the overall message. These textiles were also hanging squares used as banners and wall hangings as well as pocket hankies and bandannas. This reference presents " a veritable history on cloth" with images reflecting over 200 years. 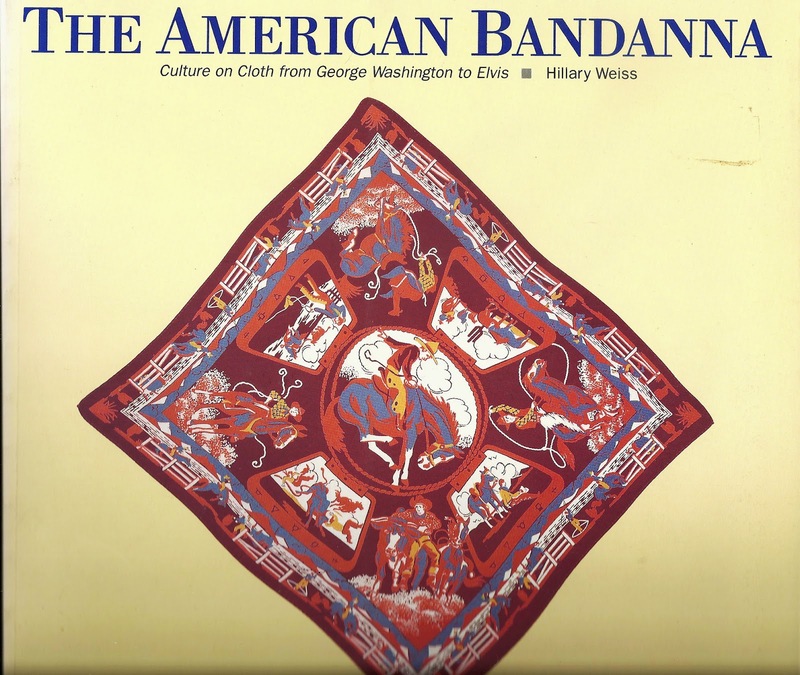 There is a chapter with many political-themed bandannas. With the popularity of quilting in America came an opportunity for women to express their political views. Although they could not vote until 1920, they were able to use their needles to commemorate bygone heroes and urge their suffrage. 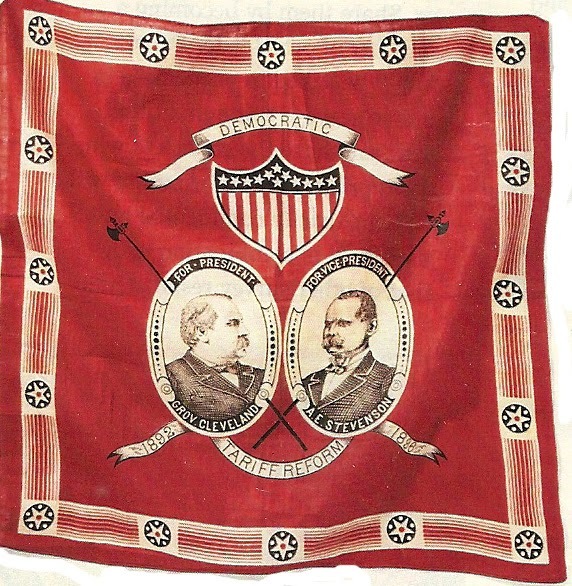 Often they incorporated political banners, ribbons and bandannas. Contemporary textiles with images of historic figures can be found, as well as, images of current events in the political arena. 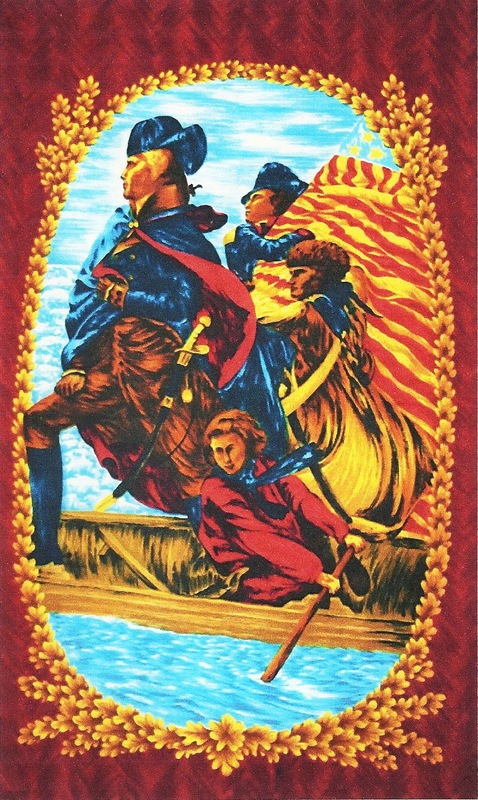 This textile is a panel measuring 43x23 inches depicting George Washington crossing the Delaware River. The colors are startling with vivid reds, blues and gold. The fabric is textured reminiscent of “bark cloth” ( the fabric your grandma used to cover her porch furniture or perhaps used as draperies.). This textile was produced by the Reliable Textile Company of NY ( incorporated in 1926) under the trademark Wesco-Reltex. Supposedly these panels were meant to be hung or framed. ( Smithsonian Museum, Washington D.C.). It was a gift from the People of Kenya.